Law and Order Minister Ranjith Maddumabandara had directed the Secretary to the Ministry of Law and Order to conduct a Ministerial Level Inquiry into the conduct of IGP Pujith Jayasundara and submit a report within two weeks, Deputy Law and Order Minister Nalin Bandara told Parliament yesterday. Responding to a question raised by Kegalle District UPFA MP Kanaka Herath on whether the President and Prime Minister had asked the IGP to resign within two weeks, Minister Nalin Bandara said there was no such request made. “Law and Order Minister Ranjith Maddumabandara and I inquired about such a situation after we saw media reports to that effect, but there was nothing like that. This request appears to have been made by the media. However, the Police Commission or the Law and Order Minister has not been notified of such a request,” Minister Bandara said. 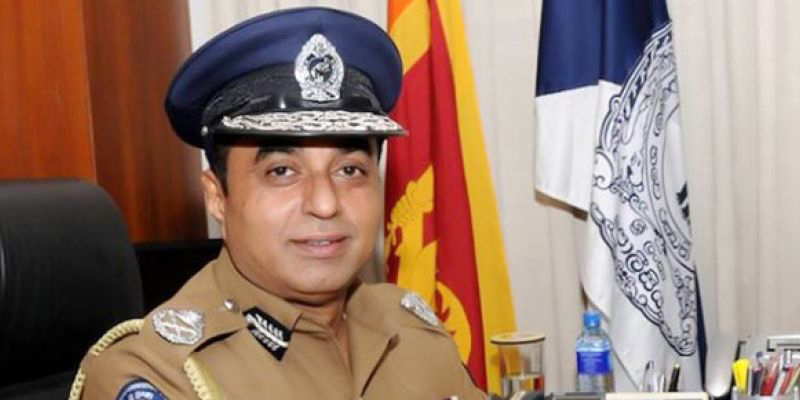 Moneragala District MP Padma Udayashantha Gunasekera said that there were media reports to the effect that the President had told the IGP over the phone to resign. “No such official request was made for the resignation of the IGP either by the President or by the Prime Minister. We don’t listen to the telephone conversations, but as far as we are concerned, our ministry has not been notified of any such move,” Deputy Minister Bandara said. Meanwhile, JVP Leader Anura Kumara Dissanayake noted that the conduct of the IGP is not at all becoming of his position or rank. He asked the Deputy Law and Order Minister what his view was regarding the behaviour of the IGP, irrespective of what the orders may be. “Do you believe that an IGP who behaves in such a manner can establish proper law and order in the country?” he asked. In response, Deputy Minister Nalin Bandara said the IGP was appointed by the Constitutional Council. “If there is an issue with his behaviour, then there is a proper manner in which action should be taken. “We are currently conducting an inquiry at ministerial level regarding certain complaints received against the IGP under the instructions of the Minister of Law and Order,” he assured. The Prime Minister’s Office yesterday refuted media reports which stated that Prime Minister Ranil Wickremesinghe has asked Inspector General of Police Pujith Jayasundera to resign, a press statement issued by Government Information Director-General Sudharshana Gunawardhana said.